SARDOU, Victorien. 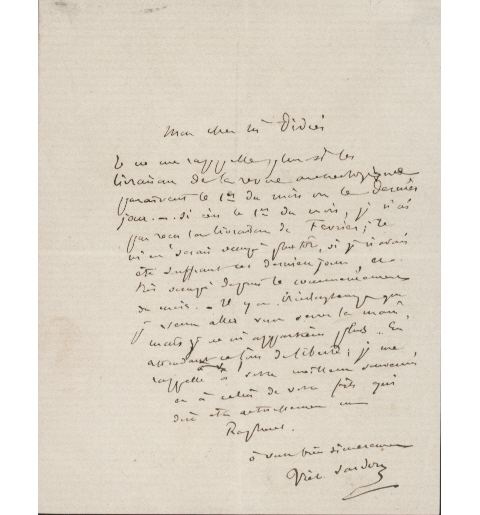 14843 Autograph Letter Signed, to M. Didier, about the delivery date for the Archaeological Revue, explaining that he has been too busy and too unwell to visit. In French, with an English translation. A good one page example 5 x 4 inches. Undated. Victorien Sardou (1831-1908), dramatist.